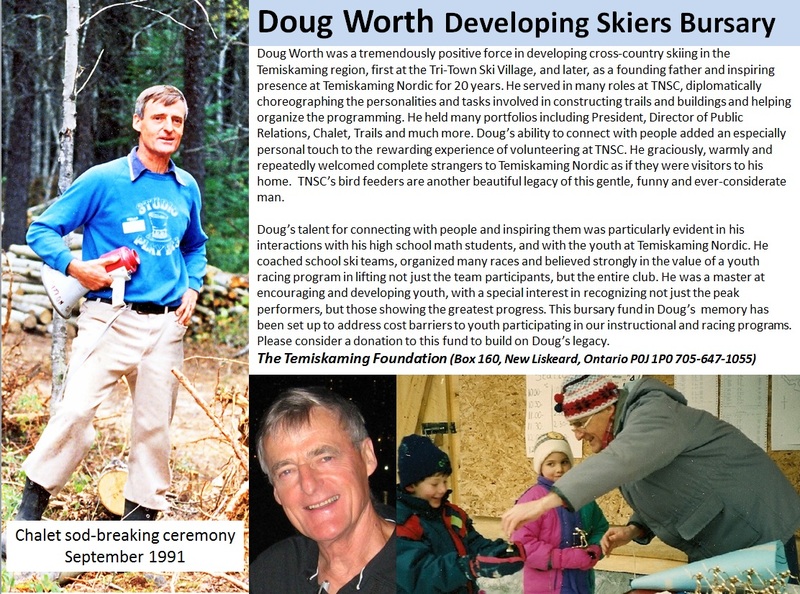 A bursary fund has been established through the Temiskaming Foundation, http://www.temiskamingfoundation.ca, in memory of Doug Worth and the causes that were near and dear to him. This bursary fund has been set up to address cost barriers to youth participating in our instructional and racing programs. Please contact Anthony Story for more information about this bursary.